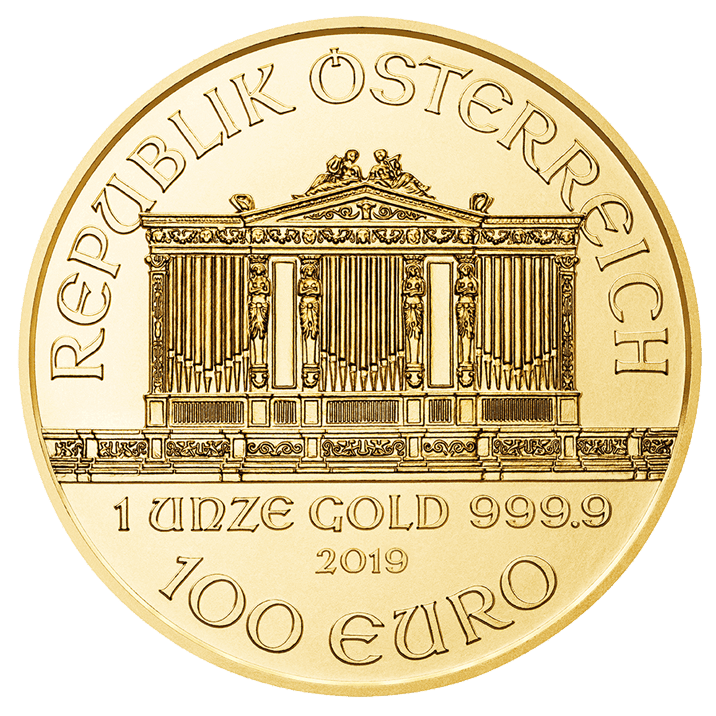 First coined in 1989, this one-ounce (oz) gold coin, or 31.10 grams (g), Vienna Philharmonic is part of the timeless collection of the Austrian Mint. This coin is one of the most famous coins in the world with pure gold at 0.9999. It has even taken the title of being the best-selling coin in Europe for several years. They are one of the most popular collections in the world and have even been the best-selling gold coins in the world, for several non-consecutive years. 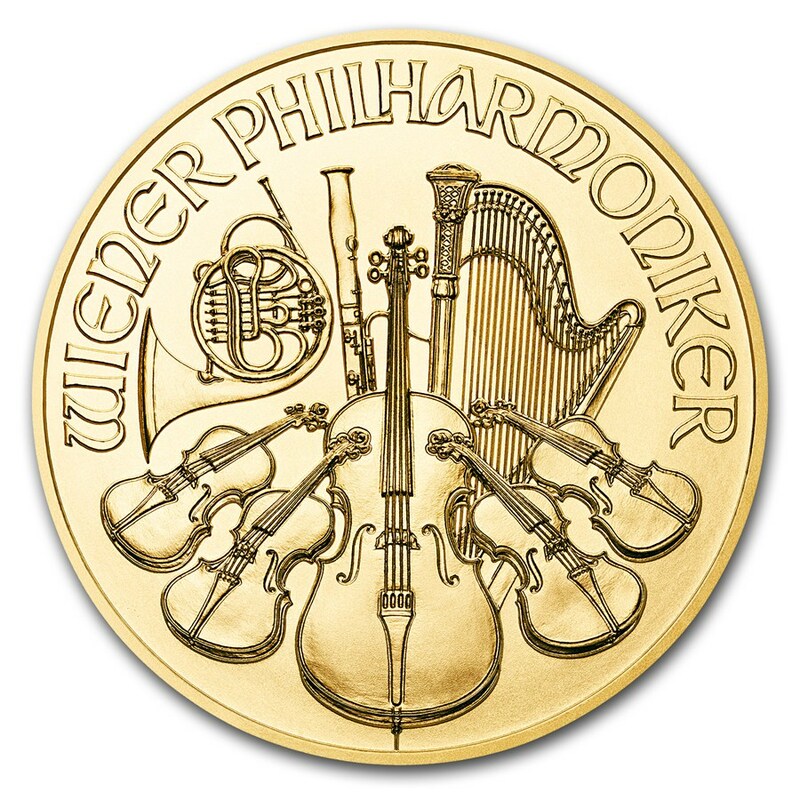 This beautiful collection of coins is a classic, as is the famous Vienna Philharmonic Orchestra. Gold is the most valued precious metal because it has preserved the fortunes of its investors during periods of instability. In other words, investing in gold has historically been beneficial to investors. Indeed, its price on the financial markets has always appreciated over the long term, making gold a reference safe haven. Thomas Pesendorfer, chief engraver of the Austrian Mint, was the designer of this beautiful coin. The reverse shows classical musical instruments that can be found in the Vienna Philharmonic Orchestra. The obverse side features the famous Goldener Saal pipe organ from the Viennese Musikverein. Above the organ, the words "Republik Oesterreich" are engraved, and below the organ, we can see the weight, the purity of the coin and the date of issue. Protect your 1oz gold coin against fingerprints by using cotton gloves and handling your precious metal coin carefully. You can also protect your coin by keeping it inside a clear plastic capsule. 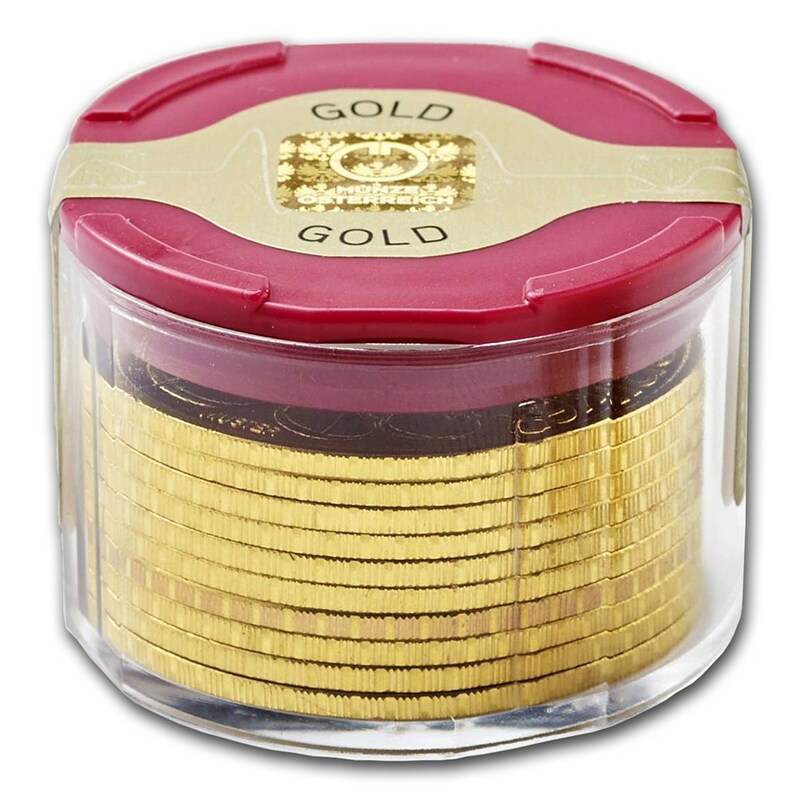 This will very nicely highlight the gold coin, and will also increase the value to your coin collection. The Vienna Philharmonic Orchestra is an investment play produced in gold, silver or platinum by the Austrian Mint (Munze Osterreich AG). It is named after one of the most famous orchestras in the world - the Vienna Philharmonic Orchestra (Wiener Philharmoniker). It is currently the only European coin with a nominal value in euros, and it is the only currency in Austria. It was also known as "Europe's most successful investment coin" and in 2004 was responsible for nearly half of Europe's coin sales.